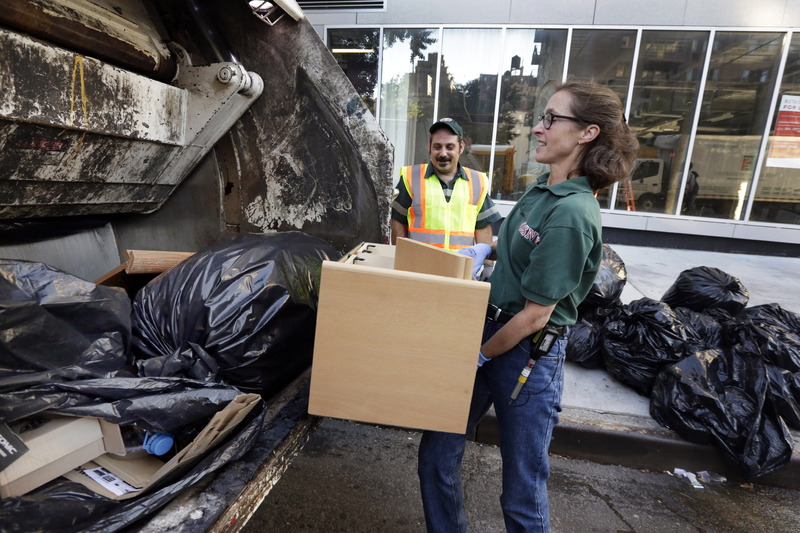 New York - New York’s sanitation department has its very own anthropologist-in-residence, a garbage guru who studies the refuse along the curbs of the nation’s biggest city as a mirror into the lives of its 8.5 million residents. “What does trash tell you about us?” asks New York University professor Robin Nagle, who frequently goes out on trucks with garbage-collection crews in search of an answer. So, what’s her take on the nearly 3.5 million-ton annual trash pile collected by New York’s Department of Sanitation? “We’re a throwaway culture that’s going too fast,” she says. Modern Gotham, she says, tends to treat just about everything — from furniture to electronics to clothing — like so many paper coffee cups. “We assume that we don’t need to waste time taking care of mundane, useful objects when we can, with no responsibility, get rid of them,” she says. Factor in a city of mostly small apartments, where residents are constantly tossing out stuff to make more space, and you get what Nagle considers a gold mine for garbage pickers. Many residents furnish their homes with other people’s refuse. Some forage for edible food that’s never been cooked, such as bagels, rice and pasta. And a private wardrobe could be filled with rejected clothing, shoes and jewelry, along with sofas, beds, domestic appliances, even paintings. On a micro level, Nagle says, sanitation workers get to know the rhythms of the people on their route from the refuse she calls “the physical record of our daily lives.” If there’s a divorce, they might find photos of the former spouse thrown out. Or if someone has had a drinking problem, it’s reflected in the bottles. Or when babies arrive, disposable diapers appear. Nagle, 54, lobbied sanitation officials for two years before being named to the unpaid position of anthropologist-in-residence in 2006. Her research has led to several books, a TED Talk, a New York University course she teaches titled “Garbage in Gotham” and a personal campaign to get manufacturers to use more recyclable materials. But Nagle has not been merely an ivory-tower scholar. She’s gotten her hands dirty, literally, by going through the training, learning to drive the trucks and working for almost a year as a regular, salaried sanitation worker. “She’s part of the family,” says sanitation Assistant Chief Keith Mellis. 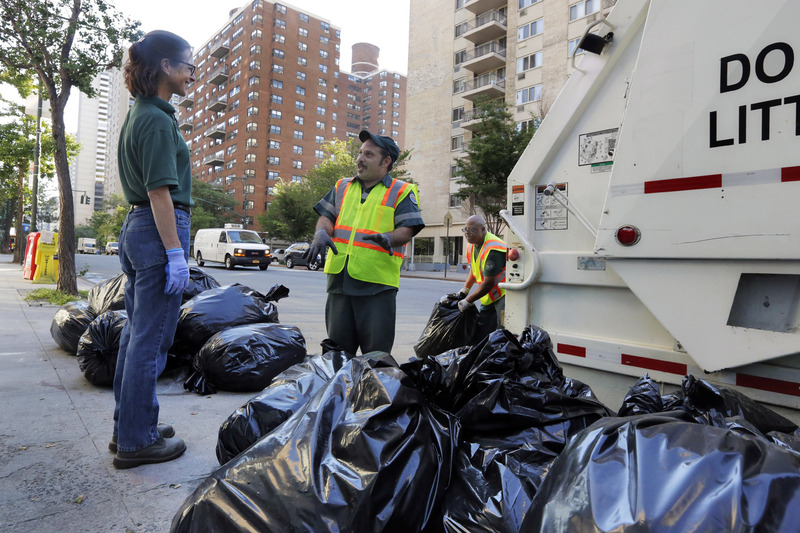 Her biggest contribution, as far as the city’s 6,400 rank-and-file sanitation workers are concerned, is in raising morale for a job that is often overlooked. In talks to new recruits, she spreads a message of pride that the 134-year-old department nicknamed “New York’s Strongest” is “the city’s most important uniformed force,” clearing streets of the refuse that would otherwise breed vermin and disease. Elliot Belnavis, a 27-year-old newcomer, notes that while members of the police and fire departments are treated as heroes, “we’re invisible.” Nagle’s introduction to his new job left him with a greater appreciation of his role, he says.